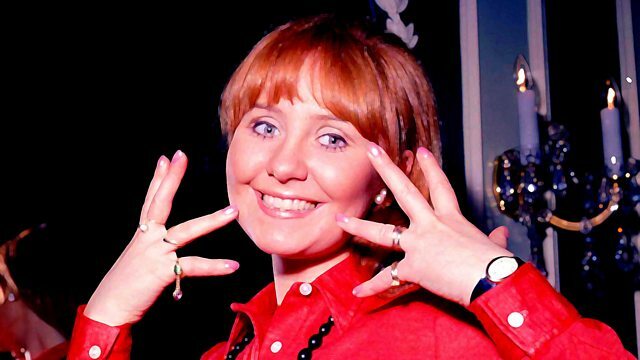 Drama about Glasgow singer Lulu, who in 1969 has her own television series and is working hard in the recording studio, but worries about whether the hits will keep coming. It's 1969 and Glasgow singer Lulu is making her mark on television with her own series complete with guest stars from the world of music and variety. Meanwhile she's also working hard in the recording studio but the hits are harder to come by. Lulu cares passionately about music and is torn between being expected to record lightweight pop songs and the more soulful music she would prefer to work on. On a personal level life is also changing: she's just met and is in a relationship with Maurice Gibb of the Bee Gees. Can Lulu successfully divide her energies in so many directions? Is it time to settle down into family life? Is it time to stop worrying about the charts? As a star of TV, a busy recording artiste and a singer on tour in the UK and abroad it is all happening for Lulu! Lulu's Back In Town is a BBC Scotland Production, produced and directed in Glasgow by David Ian Neville.